I bought it because of Cheryl Studer. She has been maligned terribly in another forum to the extent that the moderator banned her name, just her name! How ridiculous. She is a great Elsa von Brabant. If you don't speak German, then Domingo butchering my mother tongue won't bother you; his singing is very good! I'm with you,Studer is excellent! As promised, this will be my last post reviewing the Levine Ring Cycle dvd. Act 3 was all that was left and this morning I sat through it. Let me get to the point, again the Met never failed to dazzle me with the hunting scene where Seigfried is killed followed by the Funeral March....notice how the stage lights were turned down.....and with the Met orchestra it was stunning. All singers were in top form, most notably Brunhilde in the Immolation Scene in which she laments the death of Seigfreid necessary for her newly acquired wisdom, blames the gods for thier everlasting guilt in Seigfrieds' death and the materialistic (loveless) world they helped create all climaxing to Brunhilde galloping (where was Grane by the way?) into Seigfried's pyre and Valhalla engulfed in flames, the ending was just perfect despite the absence of the horse. Overall a splendid production. I would recommend the Levine Ring dvd to anyone looking for a traditional, as Wagner intended, adaptation to his masterpiece. Hello Haffner I too am a big fan of Domingo, although I have not seen this dvd of Lohengrin when it comes to Wagner I tend to stay away from singers whose native language is not Germanic (English, German etc.) .....as uffeviking pointed out perhaps the accent could pose a problem. Besides I wasn't aware that Domingo did Wagner, any Wagner for that matter. Oh Dear me! What you missed, incredible! Domingo shines as Siegmund. He is so good I totally overlooked his Spanish accented German; he has sung Siegmund often enough by now to have the Teutonic pronunciation almost down pat. I don't know if the hit of the 2005 Proms is available commercially. Pappano conducted a concert performance with Waltraud Meier as Sieglinde and Bryn Terfel as a Wotan to beat almost most of the other Wotans I have heard or seen. Maybe you have friend in the UK who taped the TV broadcast of this mindbogglingly performance. 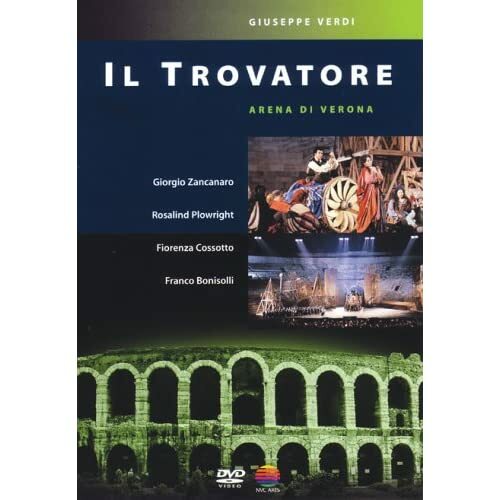 Again I find myself coming back to this forum for help: I have been ordering dvds of all of the operas I love and have hit a stumbling block looking for a good recording of Tristan und Isolde on dvd. This is my FAVORITE opera (have the Furwangler recording with Kristan Flagstaad on EMI by the way) which has made my search even harder. From what I can gather these are the only two options available and from the reviews that I have read NONE are superb........are these two dvd recordings really as flawed as I have read them to be? I'm curious as to these releases as well. Most opera reviewers told me that there really isn't a good performance of T and I on dvd. Of course there is a good performance available, besides those two! The singing and acting is outstanding and the direction by Olivier Py inventive, sensitive and brilliant. Of course if you make your decision based on opinions of narrow-minded and old-fashioned critics, this one will turn you off. Thanks uffeviking I was not aware of that recording or that it was recommendable. I am glad to hear that the singing is outstanding, Tristan is one of those operas where the vocals are so demanding that it is quite difficult to find a pair of singers who can pull it off. I am very pleased to see that Tristan and Isolde are not an overweight pair as cast in the Levine recording. Quick question though: Is this a modern adaptation of the opera? and if yes do they deviate from the plot that Wagner wrote? Is this a modern adaptation of the opera? and if yes do they deviate from the plot that Wagner wrote? I'm more interested in traditional, "Germanic" staging, so I'm curious as to this answer as well. Quick question though: Is this a modern adaptation of the opera? and if yes do they deviate from the plot that Wagner wrote? Thank you for your interest! My basic response to questions about this production is: It is a thinking person's presentation. But be assured, it does not deviate from Wagner's original plot, nor is there a change of any note he wrote. By 'a thinking person's presentation' I have to point out that the director, Olivier Py is gay and he throws open the question of König Marke's sexual orientation. No, no, not openly, he only leaves it up to you, utilising all the minor hints he leaves on the trail, to think about the possibilities. There are minute actions by the performers you probably won't catch the first time around, revealing what a genius Py is, giving the gigantic work meaning and purpose. It's not an easy entertainment show, believe me! Lis, am I right in remembering that the look of the film is mainly dictated by lighting, very little by way of props apart from a chest??? Lighting and it's effect on water stand out as the main 'sets' used by Py in the third act. I have to admit the blood soaked sheet and pillow on Tristan's metal bed are a tad overdone yet the hint at Gothic architecture, in barely visible metallic structures eases the impact. The first and second act is set in two conventional rooms, sparsely furnished, but not the chest you mentioned. I think that is in the Tristan performance with Treleaven. Py's Act 3 setting. Totally agreeable idea of placing the shepherd with his oboe next to Tristan's bed. I bought it because of Cheryl Studer. She has been maligned terribly in another forum to the extent that the moderator banned her name, just her name!
. . . very little by way of props apart from a chest??? You mean, this is the production where Tristan's chest hair is moussed, Mike? I have the wrong production....in the 'other' one the director seemed to strand the singers with a large wooden chest as the sole prop for act 1. I seem to recall they clung to it like a rock in a deluge. Yo ho ho and a bottle of schnapps!